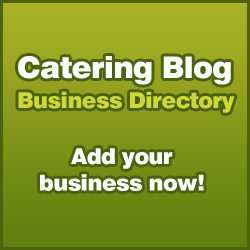 Today we are delighted to introduce a new section to the website – the Catering Blog Business Directory. 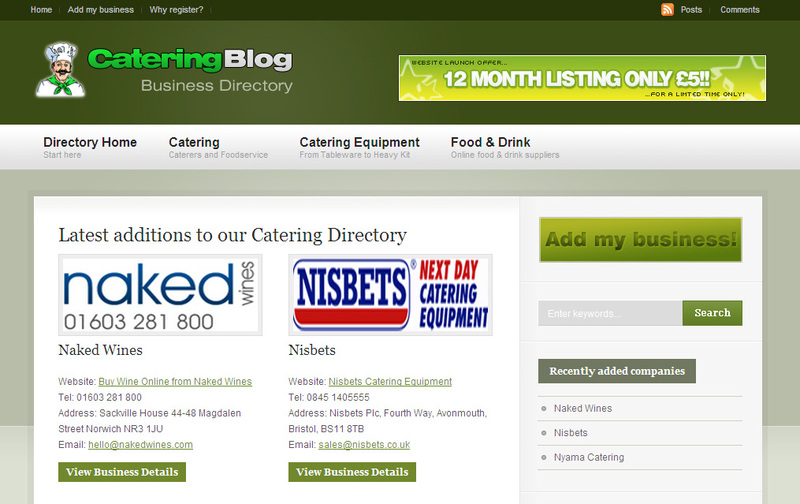 Here we hope to build up a comprehensive list of catering businesses – from equipment suppliers to caterers. For a limited time only, we are accepting registration to the directory for only £5 for 12 months! Hurry though, spaces are limited. The business listings are highly customisable and extremely search engine friendly – see the following link for more details: Why Register? As a good-will gesture, one of our regular visitors (Hog Roast) has gained a free 12 month listing. EDIT: THIS OFFER HAS NOW EXPIRED. REGISTRATION TO THE DIRECTORY IS NOW £12 A YEAR. To get a good catering agency for your catering needs is not so easy in today’s world. I represent a catering company namely Robinson’s Catering from Birmingham. The company is best in the catering business. The company specialises in Buffets in Birmingham (hot or cold), Canapes, BBQ’s, Sit down meals, Weddings and also provide a children’s food service for Nursery Schools. Whatever your requirements may be, here you will get all done with a best quality. Any chance of getting this offer back up and running? Also what is the link for the directory.